While public anger in Vietnam at corruption in state-run companies mounts, the government is fuelling further outrage with a series of crackdowns on those opposed to the ruling regime. This month a court in Vietnam sentenced a man to life in prison and gave jail terms of up to 17 years to other defendants after they were found guilty of subversive activities, state-run Vietnam Television said. The verdict follows a series of harsh punishments handed down for dissent in the Communist-ruled country, at a time of reported political infighting among the leadership centred on how to reform the economy and tackle management problems at big state firms that have led to piles of bad debt. The People’s Court of Phu Yen province gave a life sentence to Phan Van Thu, head of a group that wanted to establish a new government in Vietnam, the television station said in a news bulletin. Jail terms of between 12 and 17 years were handed to others in the case, the television station said without elaborating. “Their action has seriously violated the laws,” it said. People’s Police newspaper, which is run by the public security ministry, said Thu and others had built up their forces in a tourist resort in the central province of Phu Yen from 2004, printing a number of anti-government documents until they were arrested in February last year. Thu had spent time in prison for anti-government activities in the late 1970s, the newspaper said. Last month, 13 political activists were found guilty of anti-state crimes and sentenced to prison, a ruling condemned by rights activists as part of a crackdown on dissidents. Later, police arrested the human rights lawyer Le Quoc Quan in Hanoi after he wrote an article criticising the Communist Party, Human Rights Watch said in its World Report 2013 published this month. “The Vietnamese government is systematically suppressing freedom of expression, association and peaceful assembly and persecuting those who question government policies, expose official corruption, or call for democratic alternatives to one-party rule,” the rights group said in its report. The government made no comment on the report. Among other cases, on January 24 security forces detained a blogger in the northern province of Hung Yen and took him to a mental institution, according to a letter to Vietnam’s leaders from the Vietnam Committee on Human Rights, based in Paris. At the end of last month, the authorities deported Nguyen Quoc Quan, a US national of Vietnamese origin, after keeping him in prison without trial since April last year. Quan was accused of subversion and of being a member of Viet Tan, an outlawed pro-democracy group based in the United States, the Communist Party newspaper Nhan Dan said. 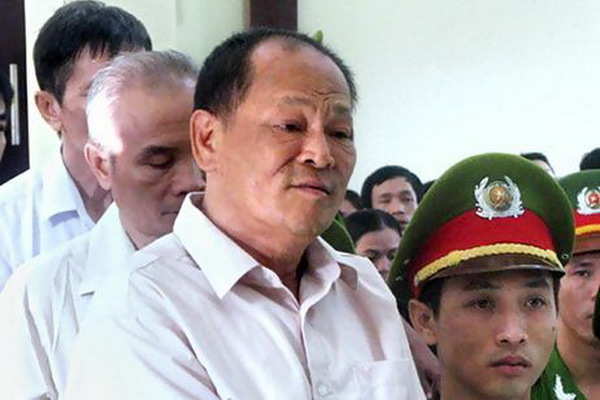 Quan’s trial, scheduled for January 22, was dropped and he was freed on January 30, the Viet Tan group said.